Justin Trudeau's Liberals won't make good on their vow to crack down on unpaid internships until next year — almost four years after the issue first landed on the federal government's agenda. In the 2017 budget, the Liberals promised to eliminate unpaid internships in federally regulated workplaces — the only exception being student placements required as part of a school course. Interns would be treated like regular employees, with the same work hours and under the same safety regulations. Officials now say it will be fall of 2019 — right when the next federal election is expected — when they unveil the final set of regulations, at which time those groups pushing for an end to unpaid internships will find out when the rules come into force. "Once the legislation was amended, most people assumed you couldn't do this anymore," said Hassan Yussuff, president of the Canadian Labour Congress. "I don't know why they haven't put forth the regulations on this because they were very clear. Immediately after they got elected, they acted on it." The government's first pass at the intern rules landed in December 2015, weeks after the Liberals took office. The proposal was similar to that of the previous Conservative government, whose final budget bill set the stage for changes to the labour laws to protect unpaid interns. The consultations, however, fell apart when the Canadian Intern Association dropped out. Labour groups and student unions protested a proposal to allow interns to work unpaid for up to four months full-time or up to a year part-time. There were calls to restart the whole process. Trudeau shuffled his labour ministers in early 2017. His mandate letter to Labour Minister Patty Hajdu asked her to update later standards "to address emerging issues such as unpaid internships." 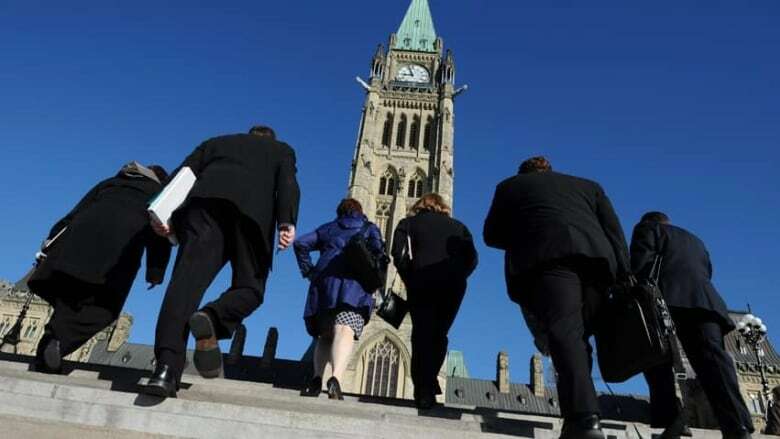 The government's second budget bill deleted part of the Canada Labour Code that provided an allowance for unpaid internships in certain cases, but left an education exception. The department overseeing the new regulations plans to hold consultations in the fall, three years after the last round of stakeholder talks on the very same issue went off the rails. "While we're encouraged that the federal government is finally moving forward on addressing unpaid internships within federally regulated employers, we're also concerned that the timelines are excessive and push any concrete action into 2019 or 2020," said Andrew Langille, counsel for the Canadian Intern Association. "The commitment to tackle unpaid internships was made during the 2015 election and one would think four years would be enough time to tackle a straightforward regulatory change."